Christmas is almost upon us so I decided to peruse the holiday themed picture books displayed on the shelves at Barnes and Noble. I chose llama llama holiday drama, written and illustrated by Anna Dewdney, because it reminded me of my nieces and nephew. Christmas is their favorite holiday and they count the days down on their Advent calendars every year, breathless with anticipation. Llama Llama counts the days down on his own calendar and keeps busy shopping, baking, crafting, decorating the tree, preparing for Christmas dinner and listening to Christmas music, which is pretty much what the holiday season is like for all of us. Finally, all of the waiting and the excitement get to be too much for Llama Llama and he needs a little comfort from his mom. What I love about this book and especially the illustrations, is that they show that the most important part of the holidays is not receiving gifts, but spending time together. 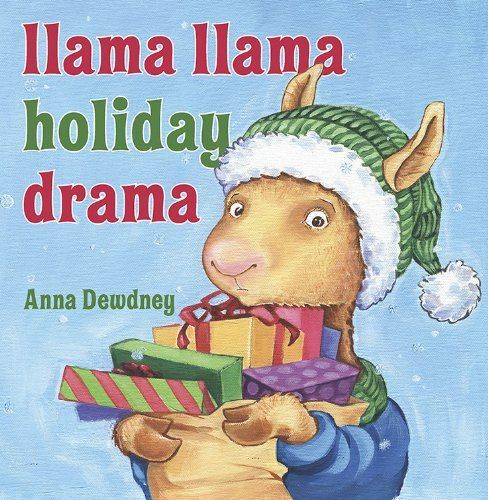 Llama Llama bakes with his mom, reads with his teacher, crafts with his friends. For me, these are the things that make the holidays special. But just like Llama Llama, the holidays can stress us out sometimes. It is good to slow down and remember what is important.